Abundia was created in the spring of 1990 when a group of therapists who are women of size decided to meet to discuss ways to live fully, joyfully and abundantly in a culture that does not appreciate large women. Jeanette Zweifel, Sue Ross, Cheri Erdman, Barbara Spaulding, and Sally Strosahl came to be known as the Abundia 5. Because they felt empowered by their gathering, they decided to expand their Abundia Circle and invite other large women to share the weekend with them. The first Abundia retreat was held in 1994 near Chicago. Since then women have been coming together annually to share their stories of pain and triumph with tears and laughter. By the end of the weekend they leave feeling supported and empowered. The Abundia 5 passed the torch to two new leaders in 2006: Sandy Dixon and Leeann Enright. 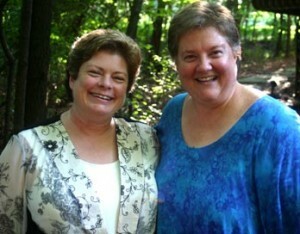 Sandy and Leeann kept Abundia vibrant for five years. In 2011, Sandy and Leeann reached out the Abundia community for help in supporting Abundia and a new group of leaders emerged. The Abundia Board, a group of women who have been attending Abundia for many years, volunteered to take over the organizing and operations of the retreat and the community. We are very excited to take Abundia into the next steps of the journey!